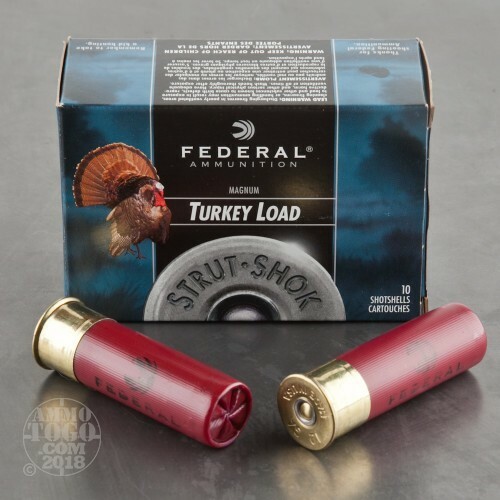 Gobblers won't stand a chance when you load up your trusty 12 gauge with these Federal Strut-Shok shells! 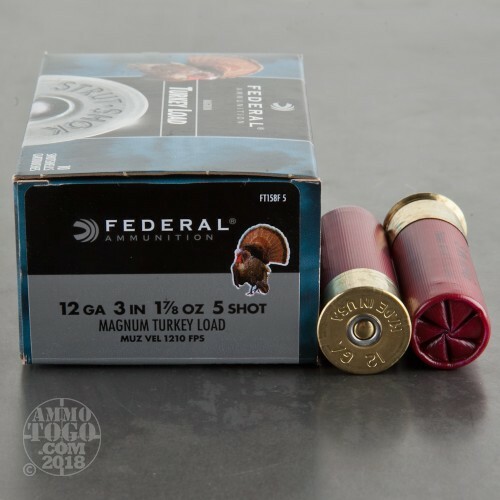 These magnum loads utilize a three inch length shell to deliver 1-7/8 ounces of hardened #5 lead shot straight into a turkey's vital zones. These shells also feature moisture-resistant hulls, clean-igniting primers, and a granulated buffering media loaded with the shot. 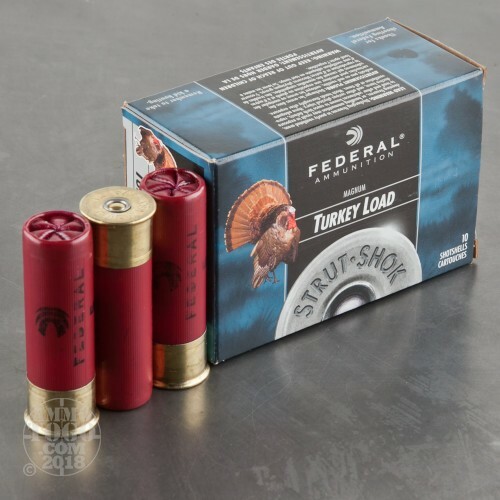 Buffering material protects the shot from flattening and deformation which contributes to thicker shot clouds, extended effective range, and deeper penetration on target. 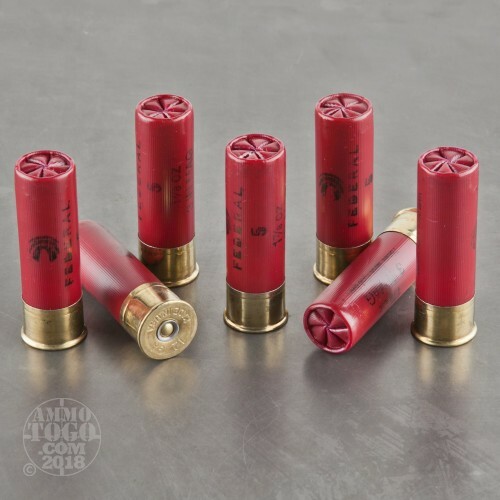 Federal Premium ammunition is known worldwide for superb quality and unique design implements which benefit shooters of all disciplines. Their attention to detail and intricate inspection processes have resulted in unparalleled consistency which has been trusted by hunters since 1922. 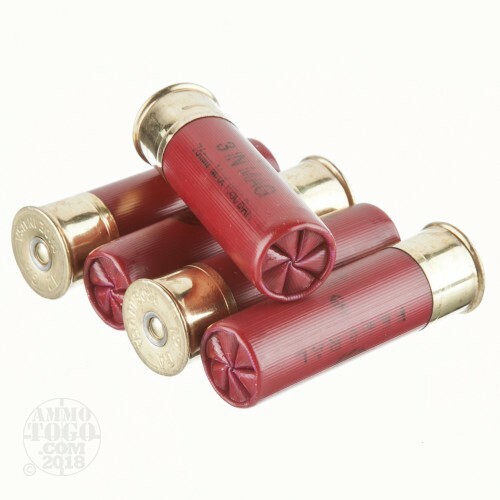 Federal shotgun shells rely on proven traditional practices alongside modern technological evolution in order to assist hunters in putting food on the table.